Mark your calendars for Roosevelt Collection Shops' Lunar New Year celebration! 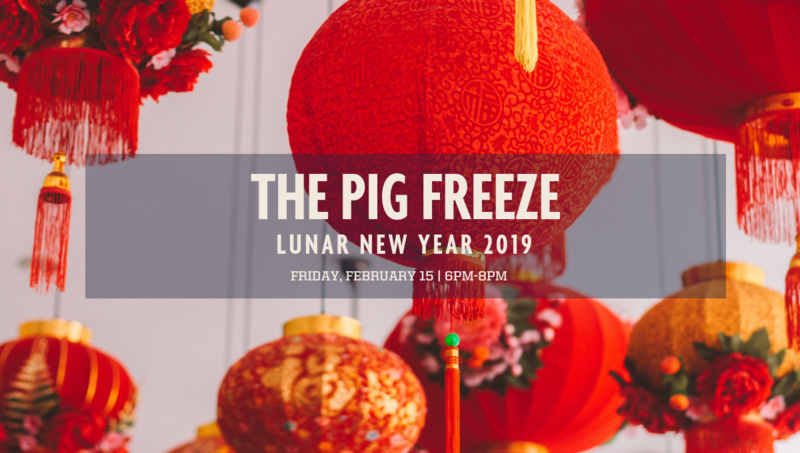 Ring in the Year of the Pig with our larger-than-life ice sculpture, which will be unveiled at 6pm. The sculpture will be Year of the Pig-themed and will include a “piggy bank” where guests can donate to support Project:VISION, a 501(c)3 organization helping the youth of Chicago’s Chinatown, Bridgeport, and surrounding communities achieve their full potentials by providing them with tools for educational, personal, and civic development. Roosevelt Collection will match donations up to $1000. - The first 200 guests will receive a complimentary bao from Piko Street Kitchen food truck; other food from Piko Street Kitchen and A Sweets Girl Cupcake Truck will also be available for purchase. - A live performance from the Chinese Fine Arts Society Lion Dancers will fill the Plaza with festive music and dance at 7pm. - Spend $100 or more at Roosevelt Collection Shops retailers and receive a lucky red envelope filled with a prize! Must make your purchase between February 8 - 15, 2019 and present your receipts during the event to receive an envelope.